DMV.com was created to help simplify your life by providing you with all the vehicle related information and Kansas DMV services you may need, in one place. Quickly find information and services regarding driving records, vehicle registration, drivers license renewal, license plate renewal, getting a learners permit, and finding a Kansas Department of Motor Vehicles approved traffic school. The Kansas DOR requires drivers license renewal for drivers. Learn how to renew drivers license cards in Kansas quickly and easily. Requesting Kansas driving records online from the DOR is the easiest way to get your DOR driving history. Order your KS driving record today. Minimum auto insurance is required by the Kansas DMV. Visit our online auto insurance center to find affordable car insurance today. Attending a KS traffic school can allow drivers to dismiss tickets and get insurance discounts. Discover driver improvement course benefits. Complete a KS DMV practice exam online before you take the written license test. A KS driver practice test can help you earn your license. 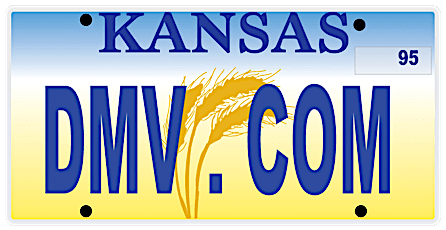 Vehicle registration in Kansas is managed by the DOR. Learn about getting car registration, renewing car registration documents and more. KS drivers ed classes are required by the DOR for some new drivers. Help meet Kansas drivers education requirements and benefits by enrolling today. A Kansas vehicle bill of sale provides a record when you buy or sell a car. Find out how to obtain a bill of sale form from the KS DMV. Learn how to pay a ticket online in KS quickly and conveniently. Drivers who fail to pay Kansas traffic tickets may face DMV penalties. A Kansas DUI conviction can lead to license suspension, imprisonment and other penalties. Learn about DUI laws enforced by the KS DOR. Before you buy a used car or new car in Kansas, consult our resources. Discover how buying a car online can simplify your DOR registration. Kansas DMV offices are conveniently located throughout the state. Get KS DMV locations and hours to obtain the DMV services you require. Are you in search of Kansas driver’s license info? Or maybe you want to know how to replace your stolen license plates? DMV.com has the answers. We present you our guide to the Kansas Division of Motor Vehicles. Also we would also like to inform our readers that this is a privately owned website, not connected to any government agency. All the latest news on requirements or forms to fill in, starting from auto insurance to DUI information are just one click away from you. All the latest news on requirements or forms to fill in, starting from auto insurance to DUI information are just one click away from you. Our list of carefully designed articles will help you find what you need. The website is very simple to navigate – you can either use the “search” option or the navigation section. Our mission is to get you the required information in no time. Lets make this site even better! For that purpose, we encourage our readers to share their thoughts on our Facebook page, give feedback about the articles and ask questions that we will be glad to answer.